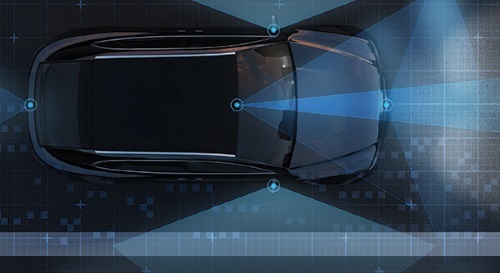 The results of a recent survey conducted by AAA discerned that there is a “gap” in “consumer understanding” of partially automated driving systems based on the names given to the technology. The group found that 40 percent of the 1,003 adult U.S. drivers it polled expect partially automated driving systems – with names like Autopilot, ProPILOT or Pilot Assist – to have the ability to drive the car by itself, whereas AAA testing indicates such systems are not designed to take over the task of driving and can be significantly challenged by every day, real-world conditions such as poor lane markings, unusual traffic patterns, and stationary vehicles. In partnership with the Automobile Club of Southern California’s Automotive Research Center, AAA said it tested four vehicles equipped with such technologies – a 2018 Mercedes-Benz S-Class, 2018 Nissan Rogue, 2017 Tesla Model S (seen at right) and 2019 Volvo XC40 – in both closed-course and on-road environments and found there were “a number of instances” that caused those partially autonomous systems to act in an “unpredictable manner” that “could take those drivers by surprise” who are too reliant on them.